For the first time since Sir Alex Ferguson retired, Manchester United scored 5 goals in a Premier League match on Saturday. The fact that it came 4 days after Ed Woodward sacked Jose Mourinho is almost poetic. Ole Gunnar Solskjaer's impact has been unprecedented - the win against Cardiff City is worth more than just 3 points. The Old Trafford faithful have been pining to watch something resembling attacking football for more than 5 years now, and the Norwegian delivered in his first match in charge. A popular argument among rival fans - "It's just Cardiff, though" - falls flat when you realise that under Mourinho, United would have probably struggled in South Wales. The Bluebirds had won 4 of their previous 5 games at home before Saturday. The attacking trident of Rashford, Martial and Lingard was fluid, fast, lethal, and breathtaking. Not words you would have associated with Mourinho's United. Romelu Lukaku, Jose's £75 million marquee signing, missed the 5-1 win due to compassionate leave. 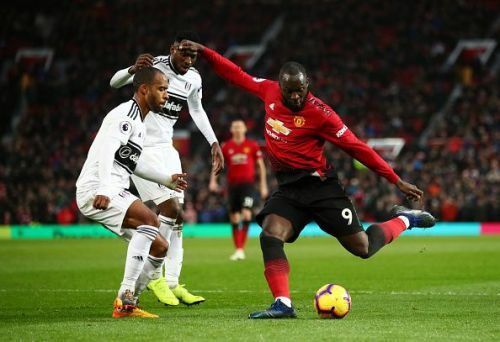 The performance of the Red Devils' front 3 raises an important question now - where does Lukaku fit in Solskjaer's plans? A major reason for Cardiff's inability to deal with Martial and Lingard was their constant mobility around Rashford. Under his former manager, Martial predominantly hugged the touchline down the left - Mourinho's insistence on the Frenchman covering Luke Shaw meant that he had to track back often. Solskjaer gave him a lot more positional freedom - his sublime goal that made it 3-1 came from the right side of the pitch. The same can be said for Rashford and Lingard - Jose's rigid defensive structure severely restricted them while attacking. Lukaku experienced some success last season in this system, but he looks like a completely different player this time around. In spite of being physically imposing, he made a name for himself at Everton by displaying a willingness to run at defenders, both with and without the ball. His first touch has barely improved since he arrived at Old Trafford, and his positional play has only gotten worse. It's hard to see him thriving under Solskjaer. Rashford, for all the criticism he's received this season, has always shown an appetite to attack. 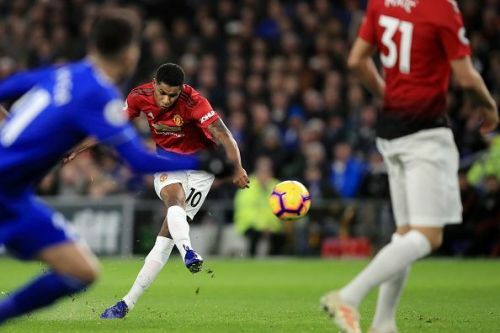 He fits Ole's vision of a striker perfectly. 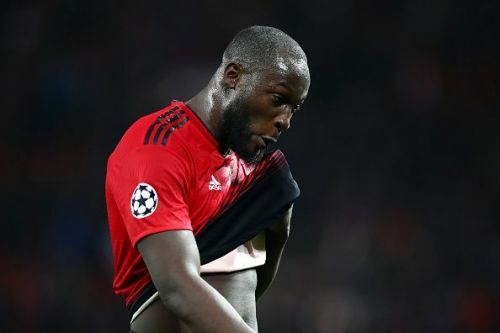 Lukaku has cut an isolated and defeated figure for large parts of this campaign, and while a part of it is because of the tactics, the Belgian himself has to shoulder most of the blame. With Solskjaer reportedly ready to hand Mason Greenwood his debut for the FA Cup tie against Reading next month, the former Molde boss might have two strikers who are perfectly capable of executing his plans on the pitch by the end of next month. That doesn't bode well for Lukaku. The only way back into the starting XI as it stands is by completely reinventing himself, and that's easier said than done. Which means that the best hope for his future at the club is that Woodward chooses a permanent manager whose tactics can accommodate him. One can't help but think that Mourinho's continued insistence of naming him in the starting XI was because Jose was the one who played a huge role in his move to Manchester. Solskjaer, and however follows him in the Old Trafford hot seat, will not be bound by such restrictions. The 25-year-old is probably going to miss all of United's upcoming matches over the festive period, during which time Rashford will get plenty of opportunities to cement himself as one of Solksjaer's first names on the teamsheet. And if his performance against Cardiff was anything to go by, it's going to happen sooner rather than later. Should Romelu Lukaku start looking for a move away from Manchester United?